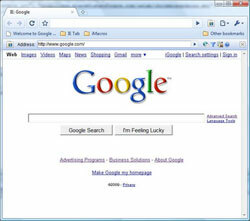 Google Chrome is a simple and fastest web browser that are getting popular today. According to data from the research company Net Applications, by the end of December 2009, Google Chrome browser’s market share exceeded that of Apple’s Safari browser for the first time, ranking third. 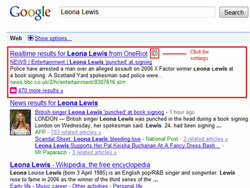 Blocks advertisements on all web pages just like the most popular Firefox extension, AdBlock Plus. Current version is 1.3.10 (Feb 1, 2010). 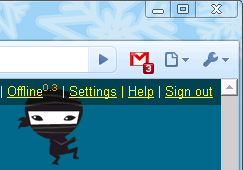 Displays web pages in a Chrome tab using Internet Explorer. Great for web developers who want to test the IE rendering engine, users who use sites with ActiveX controls, and users who want to use the explorer view for local files. Translates entire webpages into a language of your choice with one click. 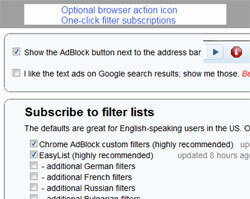 Blocks advertisements using Firefox AdBlock Plus filter engine. Makes browsing faster by speeding up repetitive tasks, get auto-loading of next page, improved searching, and more. Current version is 0.30 (Jan 29, 2010). 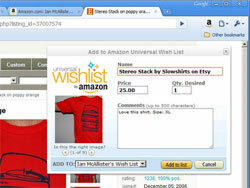 Adds any item from any website to Amazon Wishlist with one simple click, making it easier than ever to keep track of all the items you wish for, all in one place. 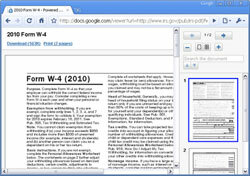 Enable automatic preview of pdfs, powerpoint presentations, and other documents in Google Docs Viewer. Bookmark your bookmarks across computer and browsers. 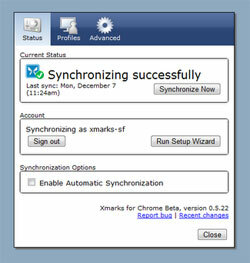 Xmarks is also available for Firefox, Safari and IE. Enable Chrome to auto-detects RSS feeds on the page you are reading and upon finding one will display an RSS icon in the Omnibox, allowing you to click on it to preview the feed content and subscribe. Hey nice informations! Thank you. Your Site looks also great. I have bookmarked your site. Have a nice day. Just made a new extension for easily copying selected text from a page and save it in your notes list for later use. Lazy keyboardless interaction: mouse only!! I will use the Google Mail Checker in Chrome and the PowerPoint Viewer nwo. Thanks for the article. 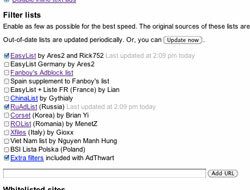 Thanks for this GC extensions list. I read your post which is related to google chrome extension. It is a very useful post. I use one of them extension which is google translate for my website http://www.jessicas.de.